Q:Why do we use it? Ans: Stingo CRM is built for sales experts team, not accountants. Sales People are quick to adopt Stingo Sales CRM because it is built to foster the entrepreneurial spirit that drives them. They can act on real and accurate information of calls. 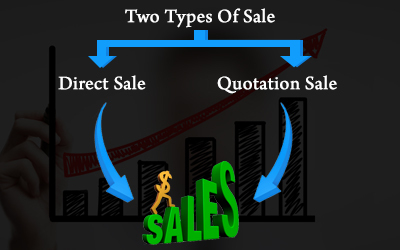 We have a unique approach to the dynamic relationship between sales management and sales people. Q: What was announced and what does it mean? Ans: Delvetech Group launch Stingo - A product that manages your business Stingo Sales is a term that refers to practices, strategies and technologies that companies use to manage and analyze customer interactions and data throughout the customer lifecycle with the goal of improving business relationships with customers, assisting in customer retention and driving sales growth. Stingo Sales system is designed to compile information on customers across different channels. Q: Is this good for Stingo and its customers and partners? Ans: Yes this is good news. Stingo's mission and vision remain unchanged, and Stingo will continue its commitments to and passion for its customers and partners. Ans: There is no change whatsoever for customers. It is business as usual. Stingo remains deeply committed to delivering on its strategic product, current and future customer commitments, and all services for customers remain right in place. Q: Will this change affect my pricing or contract with Stingo? Ans: No. All customer commitments remain in place and there will be no changes to the working relationship. And there are no pricing changes planned based on this transaction. Q: Will this change affect the people I am working with at Stingo such as my account manager? Ans: No, there are no changes to your account team at this time. Q: Will there be any management changes at Stingo? Ans: Currently there are no planned management changes. Q: When will the deal be final? Ans: There will be many more steps in the process of completing the transaction. The exact timing and details of the process are not yet known. Stingo is committed to maintaining open communications as permitted and the terms of the deal, and will share additional information as it becomes available.